Mr. Ken Becker, of County Road B in the Town of Holland, passed away at his residence Thursday afternoon, November 3, 2016. He was 89 years old. Kenneth was born in Waukesha on August 23, 1927, son of Herbert and Esther Eichstaedt Becker. After his schooling, he served in the US Navy. Ken was united in marriage with Charlotte Crema on February 7, 1948 in Milwaukee. Mr. Becker took a position with Miller Brewing that same year, and retired in 1985 as Director of Corporate Engineering. Soon after retirement, Ken and Charlotte purchased a farm near Random Lake and farmed there for the next 18 years. Charlotte preceded him in death in 2003. 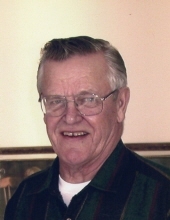 Mr. Becker was a very active member of St. Matthew Evangelical Lutheran Church in Port Washington. He served on the Town of Holland Plan Commission as well as the Town Board. Ken enjoyed woodworking, doing volunteer work, and spending time with his family. Mr. Becker is survived by his four children: Dale (Pamela) Becker of Random Lake, Don (Judy) Becker, also of Random Lake, Kathryn Bartz of Wauwatosa and Jeffery (Debra) Becker of Rhinelander, 20 grandchildren, and 25 great-grandchildren. He is further survived by two sisters, Marion (the late Robert) Petrach of Dallas, TX and Florence (the late Alan) Baertlein of Winona, MN, brother Daniel (Darlene) Becker of Waukesha, sister-in-law Alma Kinzinger of Franklin, nieces, nephews, other family and friends. He is preceded in death by his wife Charlotte, brothers Frederick (the late Shirley) & Chester (the late Dolores) and sisters Lucille (the late William) Butzin and Gladys (the late Lowell) Holtz. Funeral Services will be held at 11AM on Monday, November 7th at St. Matthew Ev. Lutheran Church, 1525 N. Grant Street, Port Washington. Pastor Martin Wildauer will preside. He will be laid to rest beside his wife in Union Cemetery, Port Washington. The family will receive visitors at the CHURCH on Sunday, November 6th from 3-6PM and again on Monday, Nov. 7th, from 10-11AM. Memorials are suggested to be designated to Wisconsin Lutheran Seminary Tuition Assistance or to St. Matthew Ev. Lutheran Church Endowment Fund. The Eernisse Funeral Home in Belgium is assisting the family with arrangements. Online condolences may be left at www.eernissefuneralhome.com . To send flowers or a remembrance gift to the family of Kenneth W. Becker, please visit our Tribute Store. "Email Address" would like to share the life celebration of Kenneth W. Becker. Click on the "link" to go to share a favorite memory or leave a condolence message for the family.